Facebook Canvas is a full-screen Ad experience built for bringing brands and products to life on Mobile. The experience of Facebook Canvas adverts is really true-to-life and they emotionally endear viewers to first love the brand and then take action. What should remain top of mind for Nigerian advertisers is how to create compelling brand stories and product showcases on mobile in ways that are enjoyable for the online mobile audience and effective for business growth. The concept of Facebook Canvas follows a trend that augments the advertisers need for better ways to share information after people click on their ad, and the information offered after someone clicks needs to load quickly, look beautiful on mobile and allow people to take action easily. 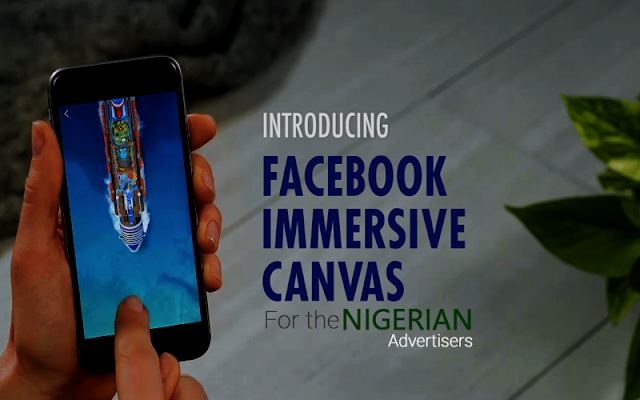 Nigerian advertiser have been foremost in the African digital landscape but with great concepts like the Facebook canvas there have been little or no adherent to currently one of the most immersive advertising offering on mobile. According to a quoted statement from Facebook, they claimed thus: “We built Canvas—a new post-click, full-screen, immersive mobile ad experience on Facebook that loads nearly instantaneously—to solve this problem. Canvas was created with input from the creative community at every step and is designed to help businesses tell stories and show products on mobile devices in a beautiful way. Canvas is available to advertisers aroundthe world starting today”. Facebook Canvas was officially released to the world since February 25, 2016 and Nigerian advertisers have been slow to dump the Carousel that we are most used to and very comfortable with for the Canvas, but realistically, the Canvas is the Carousel and more, to an extent I think it’s an iteration of the carousel. So, how can Nigerian advertisers make good use of the Facebook Canvas? For advertisers of e-commerce products and sites using a platform like the Facebook Canvas gives a much richer and broader display of goods and services. With Canvas advertisers are solving the big problem of giving the buyer or lead much more to chew with just one ad, as the Canvas enforces multi-faceted form of richmedia. As a marketer or an advertiser with the mandate to sell a new App to the public, making use of the Canvas could help would-be users make up their minds faster if properly used to show in real-time app navigation, DIY’s and even answer FAQ’s. The biggest drawbacks for new app users is their eventual experience with the app, many wished they knew inner workings of the app before they download reasons why a lot of app users depend on reviews, with Facebook Canvas you can share the app experience with would-be downloaders just before they hit the download button just before the ignore your ad. 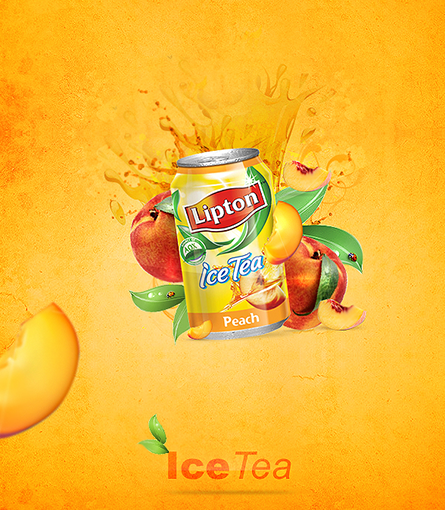 Sometimes, it makes advert sense to not just share or advertise graphic ads but well-crafted graphics of your business profile. Long before now no advert model supports this but for the Facebook Canvas. You could help your client grow by showing to would-be client their company goals, products & services, mission, vision, team members, case study etc. for the Canvas makes your ad appear like a mini website. Why not, the Canvas can display multiple images and even videos. With this capability, advertisers can display movie synopsis, individual movie cast, movie trailer, awards and top reviews with just one ad. Are you involved in launching a new phone in the Nigerian marketplace, the Canvas is one ad platform that you should consider in your marketing-mix. 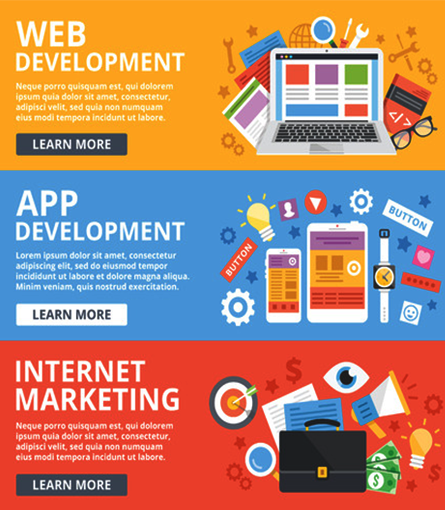 With the massive competition and over saturation of the smartphone space standing out mean that you will be able to sell your USP, features and properly preview the smartphone in one unique multi-dimensional ad. 6. Canvas as multi-purpose advert enabler. Whatever your advertising goal is, however your advertising drive is focused, the Facebook canvas is sure a great business enabler. Nigerian advertisers should begin to be ahead and abreast of advertising changes and disruptions. The Facebook Canvas is one of such change and it is sad to realize one year after its introduction it’s not been put to use by many advertisers in the Nigerian space.